The Gilese Ceiling Lamp is perfect for any room in any environment. Like having a bright idea above your head, the Gilese ceiling lamp’s chrome facade and light bulb shape will be the conversation piece in any room. 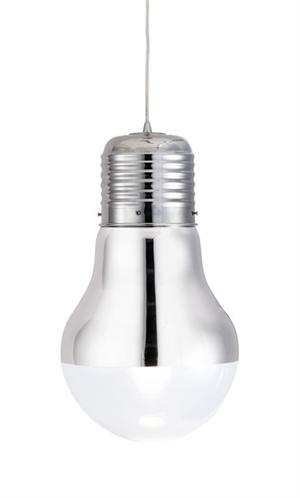 The Gilese Ceiling Lamp is terrific for any home or business atmosphere.